AT&T PARK — When Tim Lincecum tossed his first career no-hitter it was in San Diego. Wednesday afternoon, in front of the home fans, he dazzled the crowd with another dominating performance. Lincecum (6-11, 4.18 ERA) pitched a one-hitter over eight scoreless innings, walking one, and striking out eight throwing 108 pitches for his first win since the no-no on July 13. Brandon Belt smacked a three-run homer and Brandon Crawford added an RBI single as the Giants beat the Brewers 4-1, splitting the four-game series. The new lead-off hitter experiment finally paid some dividends after Marco Scutaro was 0-for-9 over two games and Hunter Pence went 0-for-4. Scutaro had a three-hit game including a double and scored two runs. The Giants still stranded plenty of runners going 2-for-7 with runners in scoring position leaving nine men on base. In the bottom of the first, Scutaro singled to left center and Brandon Crawford doubled to left center. With out and runners at second and third, Belt crushed a Donovan Hand (0-4, 3.93 ERA) fastball into the arcade in right field. 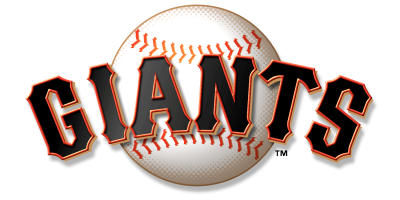 The Giants added a run in the second inning as Scutaro doubled to left and scored on a RBI single to left by Crawford. Lincecum did the rest and allowed only two base runners in his eight innings of work. He retired the first six batters faced until a double to right by Juan Francisco. The only other runner he allowed on base was Jeff Bianchi who walked in the fifth inning. 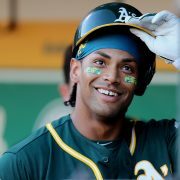 The Brewers threatened in the ninth as Sandy Rosario gave up a leadoff double to pinch hitter Khris Davis. Sergio Romo was brought in to limit the damage and while he did give up a run scoring single to Jean Segura, he closed the door. It was the fifth quality outing for Lincecum in his last six starts. … Belt’s home run was the first at home by a Giants player since Buster Posey went deep in the fifth inning on July 20 off Arizona’s Josh Collmenter, a span of 11 games and 101 innings. Belt is also hitting .450 (9-for-20) with two home runs, five RBIs and seven runs scored in August. … Scutaro’s hit in the first snapped a 0-for-22 hitless streak for Giants leadoff hitters. They have combined to go just 9-for-81, (.111) with six runs scored since the All-Star break.